The JSE firmed on Thursday along with other major global markets as focus shifted from the Sino-USA trade war. The JSE rallied to close firmer on Friday following the announcement of the economic stimulus plan by President Ramaphosa. The speech saw the rand rally to a session high of R14.18 against the US dollar as the greenback traded weaker earlier. The US dollar pared its losses towards the JSE close following the British prime minister’s Brexit speech which saw the sterling pound slump by more than 1.5% against the greenback. Subsequently the rand retreated from its session highs to be recorded at R14.30/$ at the JSE close. On the JSE, financials were buoyed by the firmer rand as they also rallied on the day. Capitec Holdings [JSE:CPI] gained 4.75% to close at R975.21, while Nedbank [JSE:NED] rose to R272.24 after gaining 4.71%. Old Mutual [JSE:OMU] firmed to R30.61 after adding 4.95%, and ABSA Group [JSE:ABG] closed 3.14% firmer at R154.48 per share. 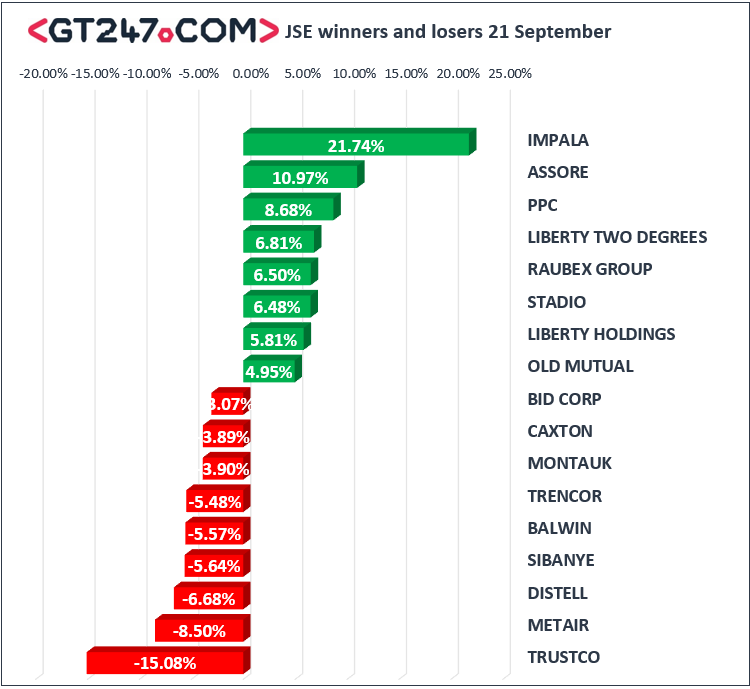 Impala Platinum [JSE:IMP] continued on its impressive rally as it jumped 21.74% to close at R27.55 per share. Royal Bafokeng Platinum [JSE:RBP] gained 4.56% to close at R26.82, while Northam Platinum [JSE:NHM] picked up 4.61% to end the day at R41.75 per share. Cement maker, PPC Limited [JSE:PPC] added 8.68% to close at R6.51, while Assore [JSE:ASR] closed at R345.41 after gaining 10.97%. 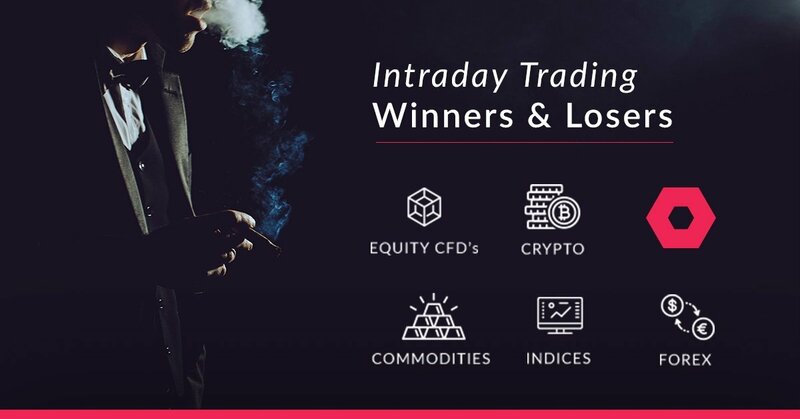 Of the day’s losers, Trustco [JSE:TTO] came under significant pressure as it closed the day 15.08% weaker at R10.19, while Metair [JSE:MTA] fell by 8.5% to close at R14.85. Distell Group [JSE:DGH] lost 6.68% to close at R108.25 and Steinhoff International [JSE:SNH] pulled back to close at R2.47 after dropping 2.76%. 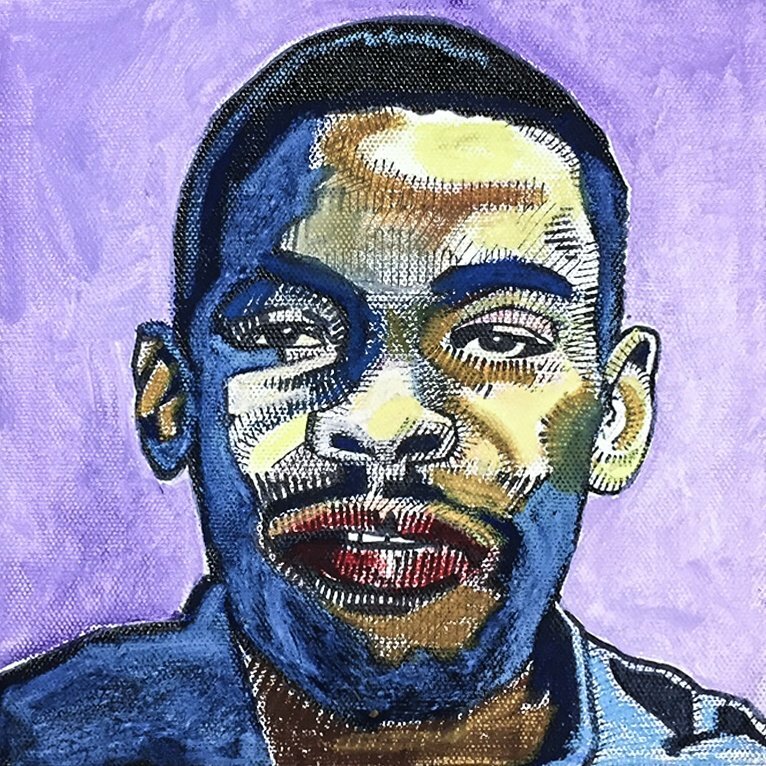 On the blue-chip index, Bid Corporation [JSE:BID] was dragged by the stronger rand which saw the stock retreat to close at R303.52 after losing 3.07%. Life Healthcare [JSE:LHC] closed 2.26% weaker at R26.15 per share. The JSE All-Share index maintained its momentum eventually closing the day up 1.09%, while the blue-chip Top-40 index managed to gain 1.17%. The Financials index was the biggest gainer of the day after adding 2.54%. The Industrials and Resources indices gained 0.93% and 0.3% respectively. Brent crude tracked higher in today’s session as it peaked at a session high of $80.12/barrel. It was trading 1.63% firmer at $79.98/barrel just after the JSE close. Gold was mostly trading mostly flat in earlier trading, but it fell in the afternoon session after the greenback gained against a basket of major currencies on the back of Theresa May’s Brexit speech. At 17.00 CAT, Gold was trading 0.4% weaker at $1200.06/Oz. Platinum was 0.92% weaker to trade at $827.73/Oz, and Palladium was down 0.05% at $1052.00/Oz. AT 17.00 CAT, Bitcoin was up 4.45% to trade at $6715.20/coin, while Ethereum had rallied by 7.67% to trade at $228.48/coin.